I am loving so many of the different chalkboard paint crafts on various blogs, so I had to do a project for my home. 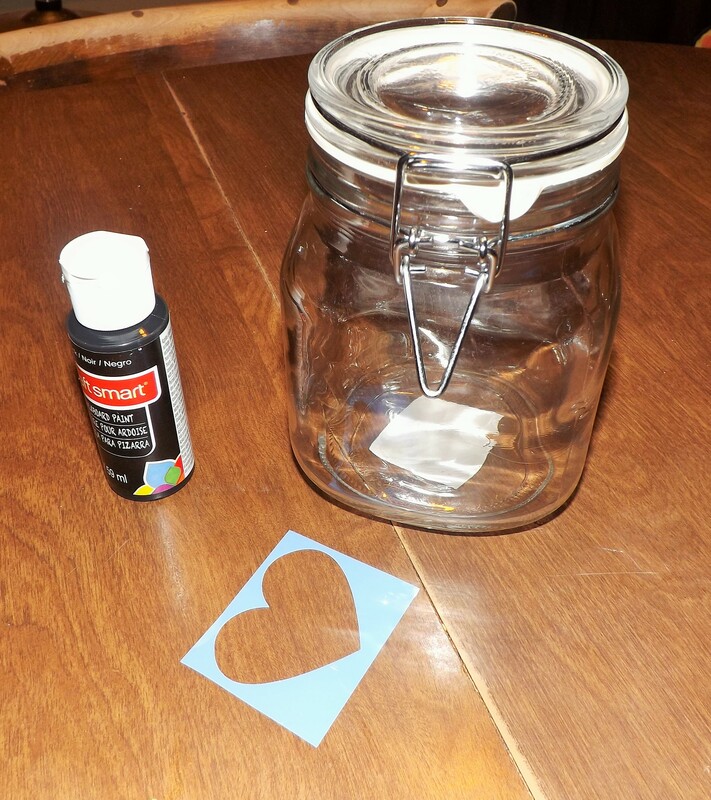 I bought a cheap glass canister from a dollar store, a heart stencil, and a 2 fl. oz. bottle of chalkboard paint to complete this project. 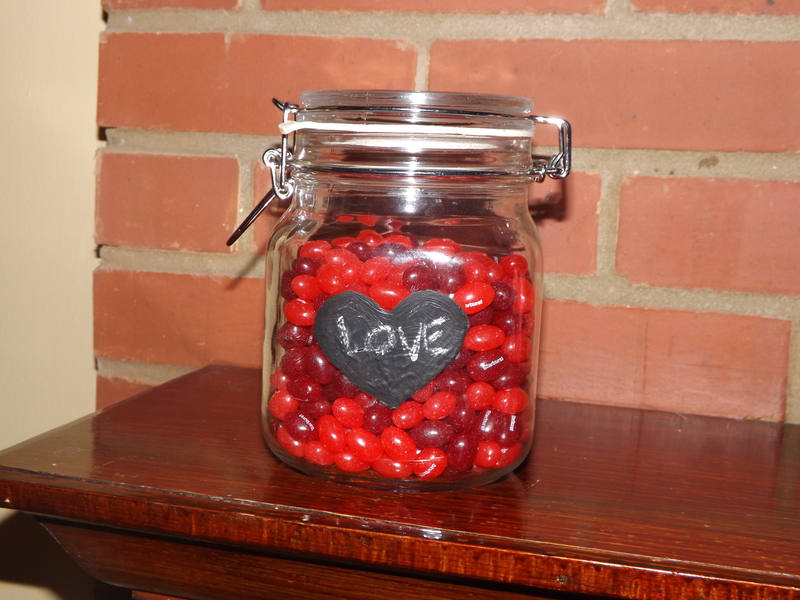 I taped the stencil onto the glass jar and painted about three coats of the paint into a heart shape. 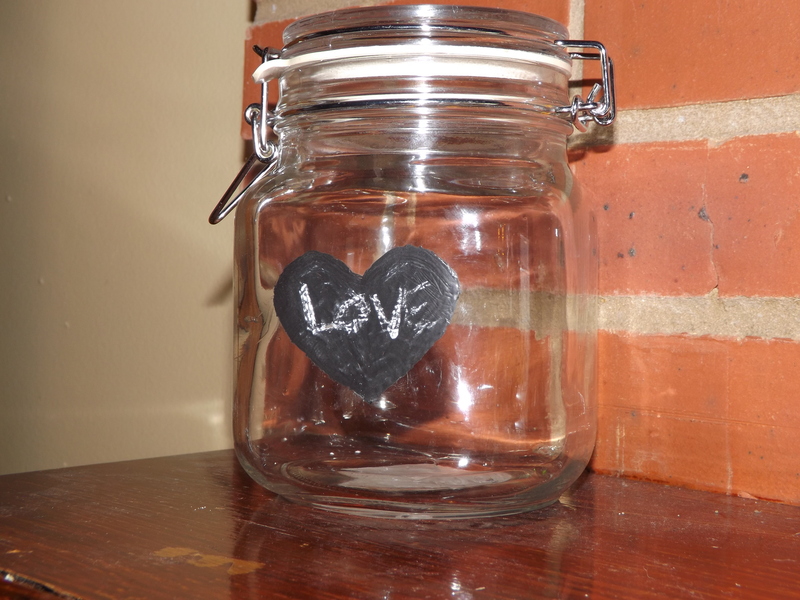 I let the paint dry for about 3 hours before I wrote on the jar with chalk. 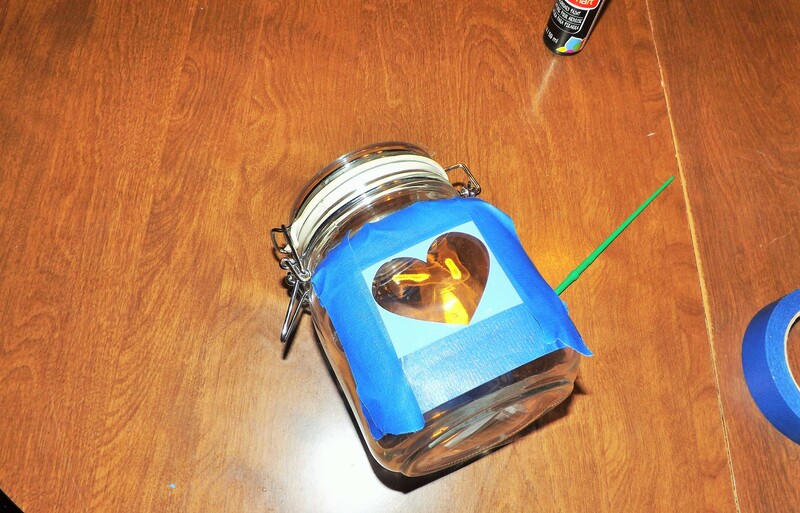 This inexpensive project is a great gift idea for friends and family. 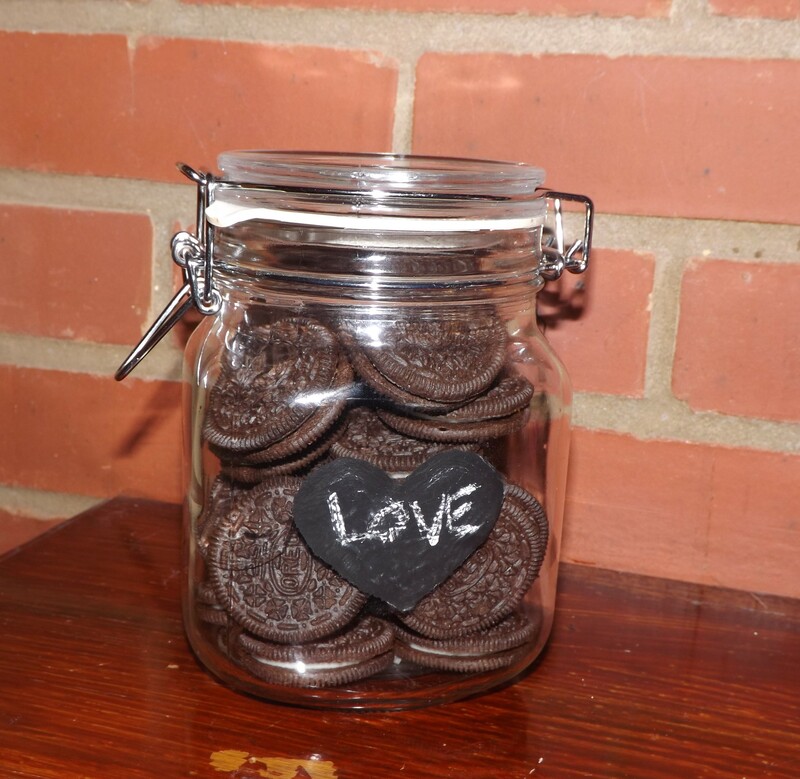 You can fill the jar with your loved one’s favorite treats and write their name on the paint.